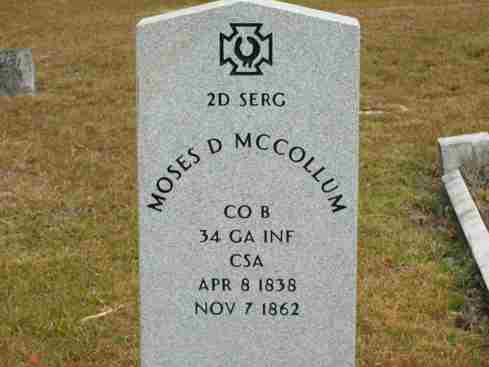 The previously unmarked grave of Moses D. McCollum, Company B, 34th Georgia Volunteer Infantry was marked with a Veterans Administration tombstone in a ceremony held Saturday, October 15, 2011. 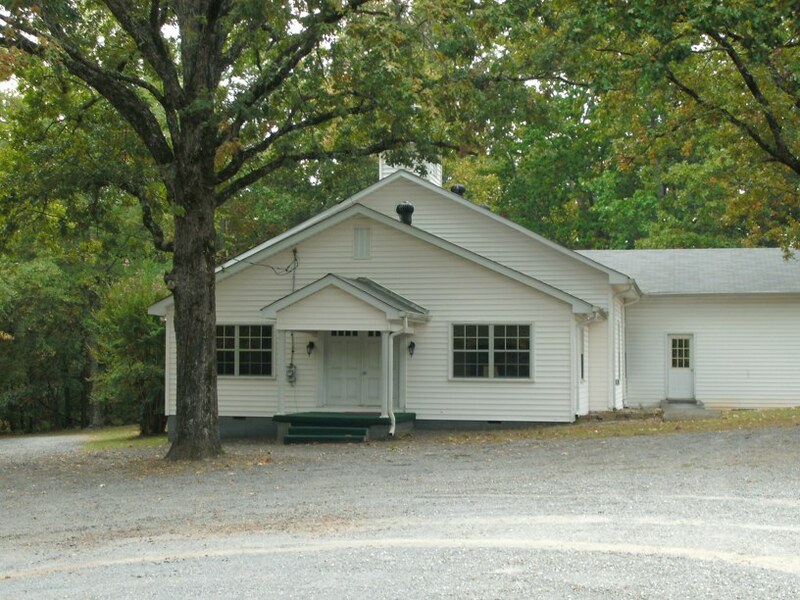 The grave is located in the Landmark Baptist Church cemetery on Marble Quarry Road in Holly Springs, Georgia. The ceremony was a simple one, with a short biography of Moses read by a family member, followed by a prayer of dedication given by a former pastor of the church. Members of the Cherokee Legion, Sons of Confederate Veterans, Cherokee County, Georgia, were also present. The Cherokee Tribune sent a photographer to cover the event. Moses McCollum was the son of John Washington and Hannah Cantrell McCollum. His remains were brought home for burial after he died in Loudon, Tennessee. His grave was not marked, but is said by family to be in the row of McCollum burials between his parents and his siblings who died later. Moses died at age 24 and was described as having blue eyes, light hair and complexion, and was 5' 11" tall. He had been a farmer before enlisting on May 13, 1862 in Canton, Georgia. His widow, Sarah E. McCollum, filed a claim for any and all allowances due him on March 5, 1863 and a John McCollum, who said he had known Moses for more than 20 years, attested to their marriage. The final settlement was reduced by $4.25 to cover the cost of a hat and shoes he had been issued.